Can you believe it! The weather last week was in the mid-80s to lower 90s. It felt absolutely unbelievable. It was so nice to get a break from those hundred degree days. We don’t know about you but we took advantage of the very pleasant weather and spent some time outdoors in our landscaping. In the past, we talked you a lot about how to deal with extreme weather. We talked about how to deal with all the rain we got last spring and early summer and talked about a few things to deal with the hot, hot summer. However, now that it’s really pleasant again without would give you some pointers to get your flowerbeds back in shape if you haven’t been outside because of the heat. 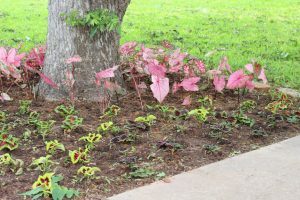 These flower bed maintenance tips should help your flower bed survive if it happens gets hot again, but it will also help if you’ve seen the end of summer and you start hearing the cold wind of winter. “Winter is Coming”. Now let us be clear, we are not saying you need to tear up your flower bed and completely level. However, if you know of some low points in your bed and can easily add some soil to it, it will help your flower bed grow more you. When the ground is level it makes it much easier for the water and nutrients to be evenly dispersed. If there were a low point, wind and water can blow important nutrients away from the rest of the bed. Once again, we are not saying this is a necessity but it will help all the plants in your beds flourish. As we all know the hot summer months can be a real beating. The same goes for your plants. Those long summer days can really zap the soil your flower bed. Replenishing the soil with supercharged plant food Great way to kick start growth. Now is a great time to add new plant food because we are able to water up to three times a week. If you’re not sure what plans is best for your flower bed, come down and visit warmer team members I will make sure you go home with the perfect plant food. 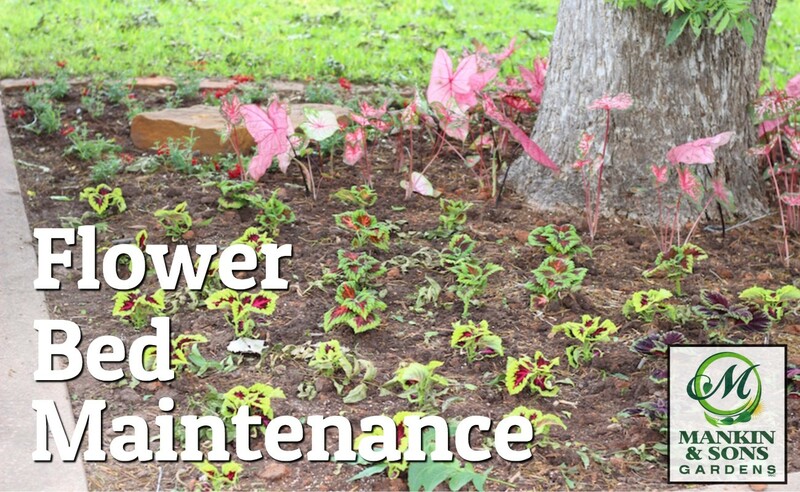 Flower bed maintenance can also help regulate moister in the soil. Just because it’s cool now doesn’t guarantee cool weather until May. Putting mulch down in your flower bed is a great way to protect your plants from the heat. When it rains for you water your flower bed the mulch absorbs the water and allows water to pass-through, but the wet mulch creates a layer of protection from the sun. The heat has to absorb all the water out of the mulch working at the water out of the bed. Whether gets hot again or the coolest here to stay having a layer of mulch down in your flower bed is a great way to maintain your plants. If you’re ready to get back out in your garden come down to Mankin and Sons Gardens before you do. Our team will make sure do you have the right tools for the right job.